What is the best software to manage your inventory? Any organization that exists should have to keep tabs on their inventory. A product company might have to track the stocks in their warehouse. A manufacturing company will need to track its raw materials. A services company needs to be knowing how many human resources they have in reserve. Regardless of the industry and field, we need to have a tracking mechanism of where we stand in terms of inventory. There is no dearth of inventory management tools these days. These can be full-blown Enterprise Resource Planning (ERP) software like SAP ERP or Oracle NetSuite. They are super expensive given that inventory management is just one of many modules these proprietary applications offer. Or we could go with mid-tier applications like Microsoft Dynamics and Zoho Inventory. And there are free and alternatives like Bitrix24. Not to forget opensource options like Odoo or ABC Inventory. As we can see, they come in all sizes and shapes. It all depends on what kind of business problem we are trying to solve. Are there any simpler options? Yes – spreadsheets! They are the simplest of the inventory management tools available. They are highly customizable, easy to use and require minimal training to operate. We can quickly configure them to suit our needs. It feels more tangible since we can see readily the interplay between the datasets. One of the challenges with spreadsheets of earlier days was that they were standalone applications with little means to sync data between users. With Google Sheets, that problem is completely eliminated. It is now the most real-time spreadsheet application on the planet. Users can operate from multiple warehouse locations to access and input relevant data. So it makes sense to consider spreadsheets for our inventory management purposes. We might think setting up the workflow may take some effort. But there is good news. We don’t have to re-invent the wheel to build them from scratch. We have a myriad of free and ready-made spreadsheet templates that we can use to hit the ground running. We’ll discuss a few of them here. This company develops useful templates that can be used for a variety of purposes. Traditionally they have been building templates for Microsoft Office products, but of late Vertex42 has moved to Google Sheets space as well. 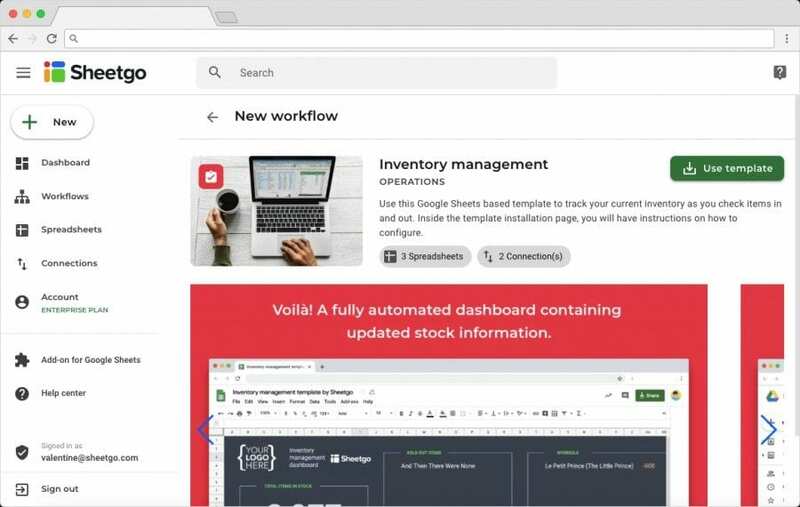 However, unlike their Excel templates that are available for download, we need to install the Vertex42 add-on in Google Sheets to be able to use the inventory management templates. They have a whole bunch of template categories, and Inventory is one of them. Under this category, there are different types of inventory templates that we can pick and start using. This company aims to reduce the operational complexity of small and medium businesses using their innovative product offerings. TradeGecko has come up with a free spreadsheet template that is very easy to understand and use. You may access it from here – make your own copy and get busy! 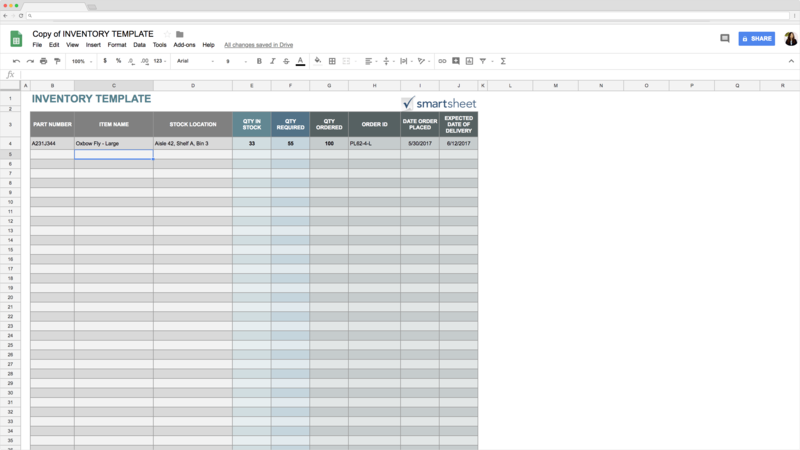 Like the other two companies we discussed above, Smartsheet also develops spreadsheet templates. They too offer an inventory management template that is extremely easy to use. If you are looking for a simplest and most basic template of all, please go for it! Sheetgo is a platform that helps its users with connectivity between spreadsheets like never before. We can transfer data between files so seamlessly and with such ease, we might find other alternatives relatively tedious. We can customize these spreadsheet connections using multiple parameters and conditions. And, then add them to workflows. Inventory management is a good case for a workflow – therefore Sheetgo offers it as one of their templates. 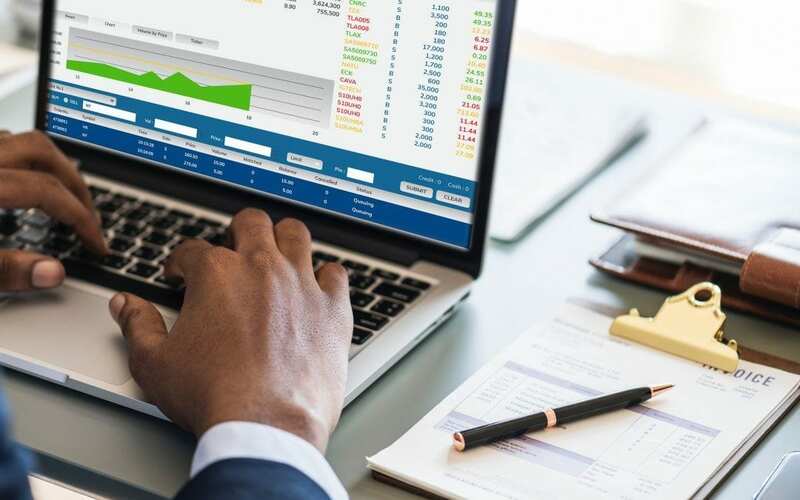 Give Sheetgo inventory template a try, as it combines the benefits of supreme spreadsheet connectivity and workflow capability. And it sports a great functionality along with a built-in dashboard that we can customize to include our own metrics and branding. 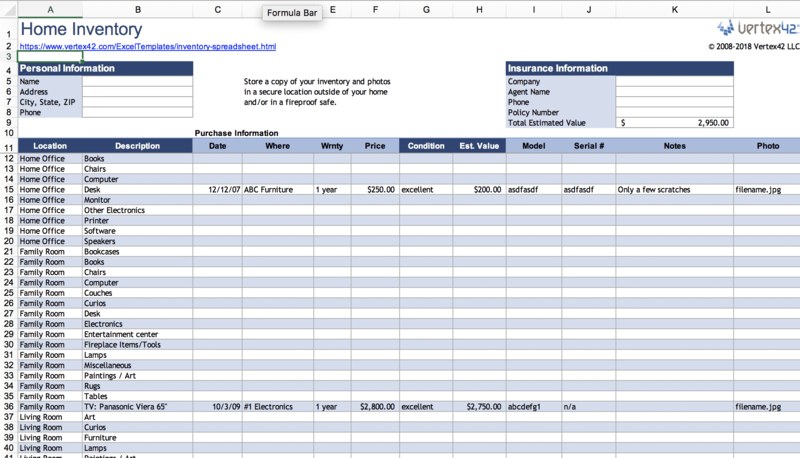 Good luck finding just the right fit for your company purposes, with the help of these Inventory spreadsheet templates.